Don your favorite superhero costumes and capes and arrive early for our pre-walk Registration Celebration at 10am. Johnny TinCap will be there, along with superheroes from Summit City Cause Players. You can also enjoy music, Affine food truck, a balloon artist, caricaturist, superhero costume contest, prizes, a raffle to win cash and so much more! Put on your walking shoes and join us for a quick walk around downtown Fort Wayne. The route is just over one mile – enough to get the heart pumping, but doesn’t leave you spent the rest of the day. This is the 22nd annual Northeast Indiana AIDS Walk and is the largest fundraiser for the Northeast Indiana Positive Resource Connection. 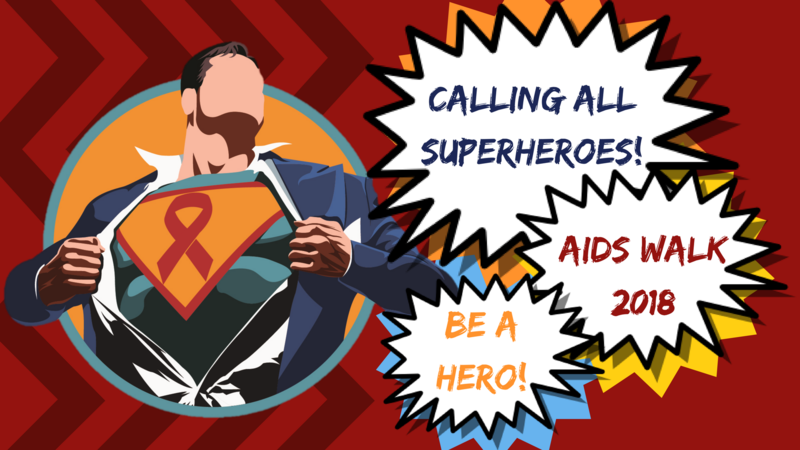 Your participation and donations can make a meaningful difference in the lives of people living with and affected by HIV/AIDS in Adams, Allen, Dekalb, Huntington, LaGrange, Kosciosko, Noble, Steuben, Wabash, Wells, and Whitley counties through the programs and services of this agency. The event is free and open to the public. Follow us on Facebook to stay up to date on all the details!